With two marathons taking place over the weekend and pumpkin pie, there were a lot of happy runners on the roads around BC. 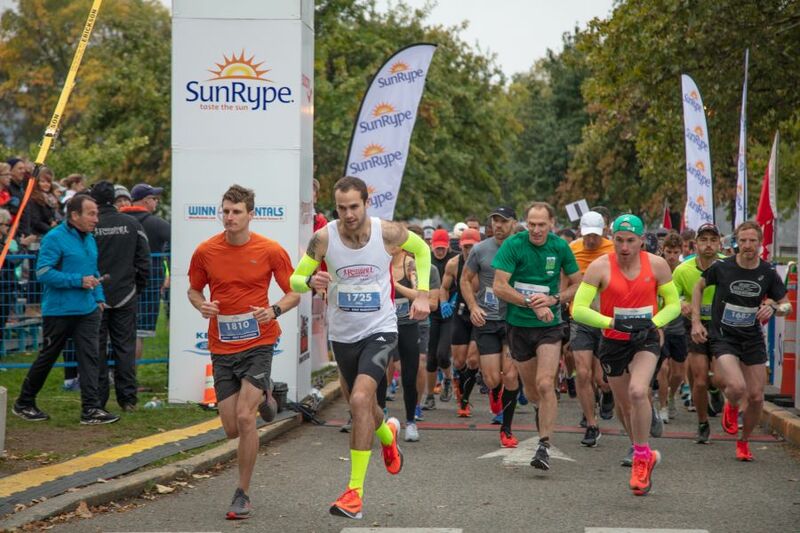 Sunday saw the running of the 39th Goodlife Fitness Victoria Marathon, taking place on the streets of Victoria and finishing in front of the Legislature Building. Jim Finlayson of Victoria continued his hot streak, setting a second National Age Category record. His time of 2:25:29 improved the M45-49 record by a minute. Just three weeks ago he set the half marathon M45-49 record in Copenhagen with a 1:08:30. Registration is now open for the 40th Anniversary event in 2019. Read more on Athletics Illustrated and click here for the Goodlife Fitness Victoria Marathon website.